John Lim specializes in large-scale, commercial real estate development and ﬁnancing. 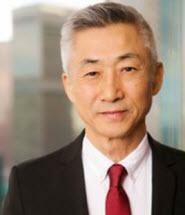 Mr. Lim has represented developers, ﬁnancial institutions and investment entities in a wide range of real estate and corporate ﬁnance transactions for projects ranging from major retail centers to resort facilities. As counsel for developers, Mr. Lim has handled all facets of commercial real property transactions, assisting his clients from land use matters to permanent financing after stabilization. The projects handled by Mr. Lim as lead counsel include prominent innovative developments such as the internationally acclaimed lifestyle centers known Plaza Mexico and The Source, the largest commercial condominium project in Los Angeles known as San Pedro Wholesale Mart and other major, state-of-the-art mixed use retail projects. As counsel for institutional lenders, Mr. Lim has worked on various types of loans extended for major shopping centers, ofﬁce buildings, hospitals, and hotels and resorts, industrial and distribution centers, corporate and R&D facilities, and other innovative projects. In these deals, he has represented major life insurance companies, national and regional banks, private equity firms and foreign lenders. These deals generally ranged from $20 million to more than $500 million. Also, he has represented various lenders, including FDIC and RTC, in complex loan restructuring and workouts. Mr. Lim has also acted as counsel to debtors and creditors in bankruptcy proceedings, including Chapter 7, 11 and 15 proceedings. His experience in bankruptcy includes advising debtors in reorganizations and representing creditors in obtaining relief from automatic stays and enforcing creditors' rights. As counsel for institutional and private investors, including private equity and hedge fund firms, Mr. Lim has handled all aspects of acquisition and financing of various major assets. In his representation of these investors, Mr. Lim regularly counsels on formation of investment entities, strategic alliances, and related debt/equity financing matters. In recent years, Mr. Lim has handled numerous EB-5 financing transactions, which in the aggregate exceed $500 million. Mr. Lim is a frequent speaker at symposia covering subjects such as anti-deﬁciency rules, loan workouts, debt/equity ﬁnancing, and topics of current interest addressing bankers, accountants, lawyers and other professionals. Grounded in his unceasing conviction to further equality and justice in our society, Mr. Lim serves on numerous boards of nonproﬁt organizations. Represented real estate developers in the development of landmark lifestyle mixed use retail projects, including acquisitions, DDAs, entitlements, environmental, subdivision, ﬁnancing, CC&Rs and REAs, construction, leasing and other related aspects. Notable projects include Plaza Mexico, Aroma Center, San Pedro Wholesale Mart and The Source. Represented Global 1000 companies in various syndicated credit facility transactions for hundreds of millions of dollars based on secured transactions involving assets located or moving within multiple states and on water, and in some cases, layered with mezzanine or real estate loans. Represented ﬁnancial institutions, insurance companies and governmental agencies as lender’s counsel in various complex loan transactions (e.g., construction, permanent, mezzanine, bridge) and in loan workouts involving both portfolio and CMBS loans. Represented Fortune 500 and Global 1000 companies in various acquisition and leasing transactions for their warehousing and/or distribution centers, one example of which is the acquisition of a 1.8 million square foot warehouse facility for a global clothing retailer from a major department store company. Represented US subsidiary of a foreign computer manufacturer as the debtor-in-possession in a multi-billion dollar Chapter 11 proceeding and successfully battled a global IT company, which was the chair of the creditors committee. The case involved filing of Chapter 15 by the parent company of the debtor-in-possession.